Jerome Ponce, Vivoree Esclito, and CK Kieron are teaming up to teach viewers that real beauty goes beyond just physical attractiveness in “Wansapanataym Presents: ManiKen ni Monica” starting this Sunday (Sep 30). Often bullied for his looks, Ken (Jerome) dreams of becoming a successful model. But in reality, he is overweight, pimply, and struggles with low self-esteem. His wish is granted when he comes across Bulalakaw, a wishmaster who transforms Ken into a dashing man. Ken then finds success in modelling, but eventually becomes conceited and arrogant. But Ken’s accomplishments will only make him want more. His insatiable desire to be flawless will be fulfilled once again by Bulalakaw, who makes him a mannequin. In order to eliminate the curse, Ken will have to find someone who loves him unconditionally – a task that will be made difficult by his family, friends, and acquaintances, whose memory of him will be wiped out. Ken will then meet Monica (Vivoree), who finds the mannequin version of himself. Like Ken, Monica is insecure and longs to be noticed by her dream guy, Yoshi (CK). How will Ken and Monica help each other love themselves for what they truly and simply are? 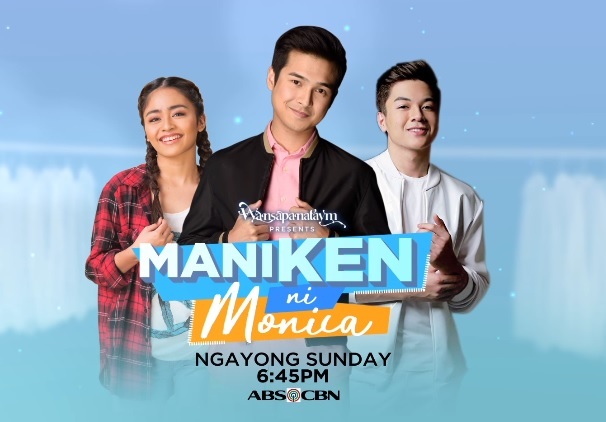 Also part of “Wansapanataym Presents: ManiKen ni Monica” are Malou Crisologo, Dennis Padilla, Tess Antonio, Simon "Onyok" Pineda, KenKen Nuyad, Benj Manalo, Markus Paterson, Patty Mendoza, and Ashley Colet. Catch the magical stories filled with valuable lessons in “Wansapanataym Presents: ManiKen ni Monica” beginning this Sunday (Sep 30) on ABS-CBN and ABS-CBN HD (SkyCable ch 167). For more information, go to ‪fb.com/dreamscapeph and follow @dreamscapeph on Twitter and Instagram.